Bassia hirsuta. Peter Burn. www.discoverlife.org. (Accessed 5/2014). 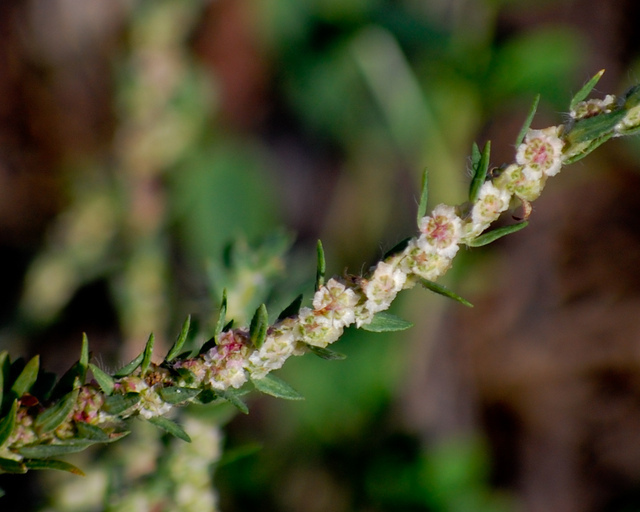 Bassia hirsuta is an annual C3 herb (Jacobs 2001), to 40 cm tall, bushy-branched, turning pink in autumn. Leaves alternate, to 1.5 cm long, fleshy, linear, nearly cylindrical, hairy, blunt-tipped. Bassia hirsuta flowers. © Copyright Sheryl Pollock 2011. discoverlife.org (Accessed 10/2017). Flowers solitary in axils, 0.1 cm, 5 sepals, incurved. 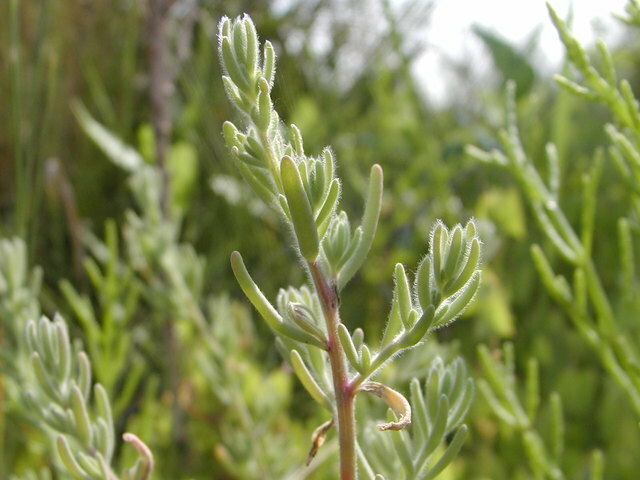 Fruit dry, 0.3 cm long, 0.2 cm wide, with 3 tubercles; Aug.-Oct.
Habitat: Salt marshes, saline sands.